Did you know that octopuses (ok ok, octopi) could be so cute?! 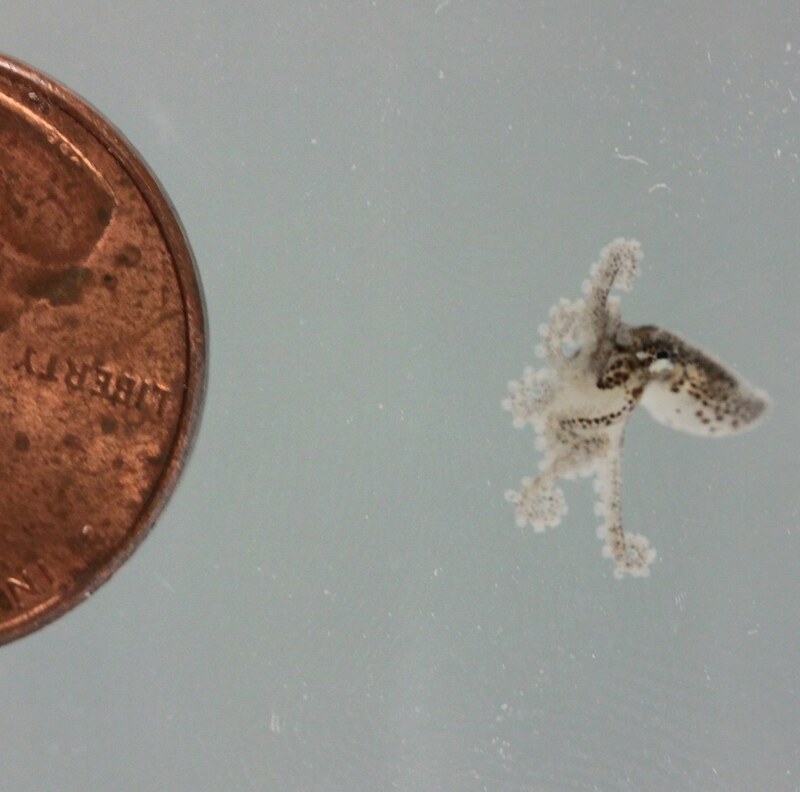 On the 19th of March, at the Mote Marine Laboratory in Florida, these tiny little Caribbean Pygmy Octopi were born. 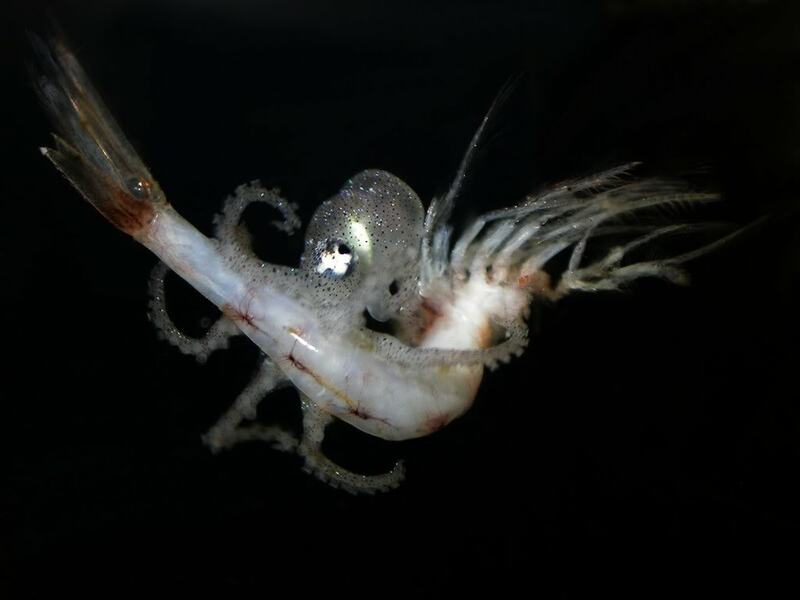 I have never seen such *aaaw*-inspiring invertebrates! 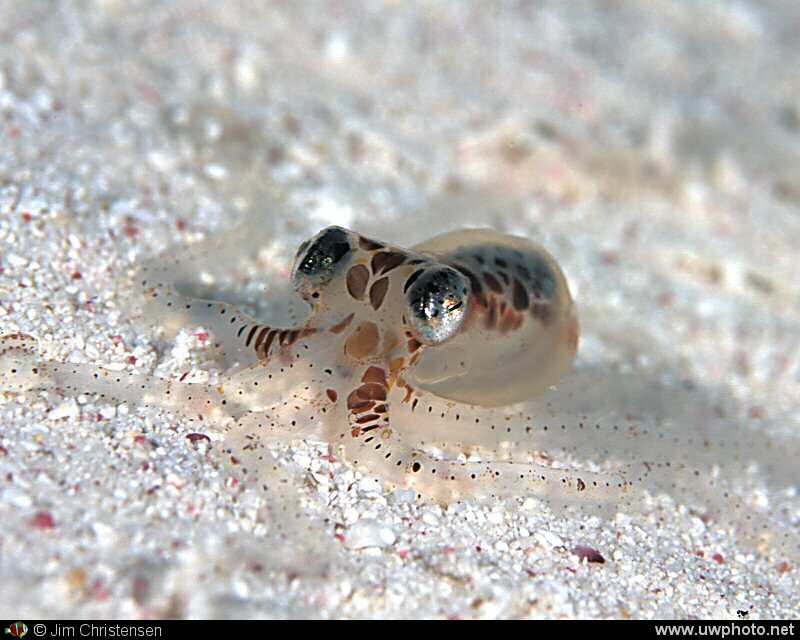 The Caribbean Pygmy Octopus (Octopus mercatoris) can reach up to 15cm in length, counting its outstretched legs. During the day, adults like to hang out in small shelters they find, their favourite being abandoned shells. During the night they’re more active, eating mainly crustaceans (they have a soft spot for crabs), which they actively hunt, and ..molluscs. 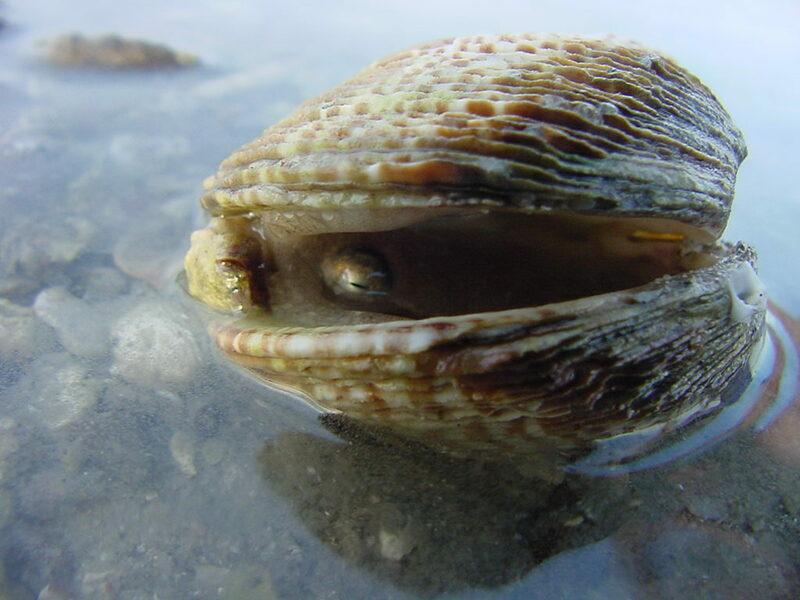 They munch a hole in their shell, spit in their saliva (which starts to digest the mollusc) then when the muscles relax, open it up and slurp up the (now dead) animal. Then they probably hang out in the newly vacated shell. Just saying. After mating, females lay from 50 to 320 eggs – not a lot, for the octopus world: some species can lay up to 200,000 eggs! 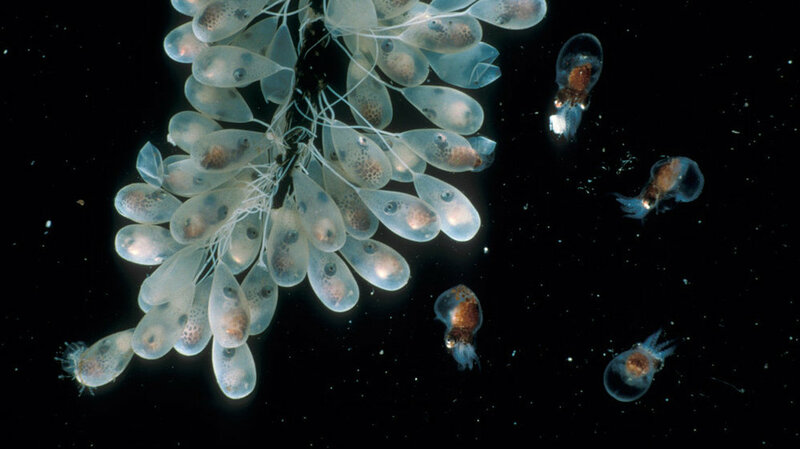 This species’ eggs are usually 6-8mm in length and the hatchlings are just as small when they emerge. They’re shy and elusive – most probably due to their size and prefer swimming on the bottom of the sea (this preference is called benthic) in shallow (less than 5m in depth) sea grass beds. Females die after their eggs hatch, and males don’t last much longer – their total lifespan in the wild is estimated to be less than a year. 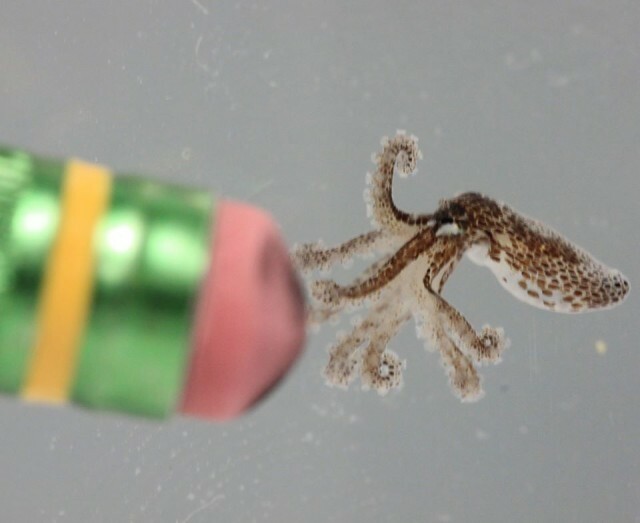 An Atlantic Pygmy Octopus, a species that is similar in appearance but quite different in habits. Photo by Jim Christensen. Another photo of the Mote Marine Laboratory, Florida. I’m starting to really like octopi… what about you? !